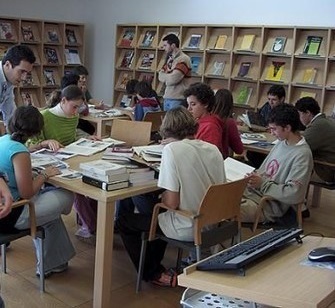 Introduces students to the technical areas and to both Archive’s and Public library’s reading rooms. Target audience: 3rd cycle students – basic education, secondary education and other levels of education. 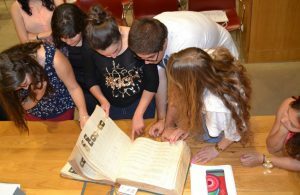 Learn about specific technical areas (preservation, conservation and restoration methods) and get to know the Archive’s Reading and Reserved Room for rare books. Target audience: 3rd cycle students – secondary education and other levels of education. 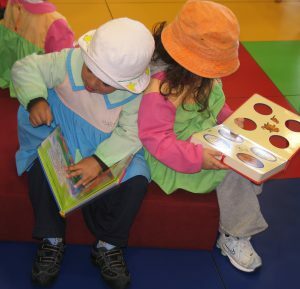 The tour includes a presentation of the Children’s Reading room and its procedures, followed by the storytelling moment and discovery of the space. Learn more about the library’s reading rooms and follow the journey of the documents, since their arrival at ABM until their proper storage and shelving in the Reading rooms. Target audience: 3rd cycle students – basic education, secondary and other groups.